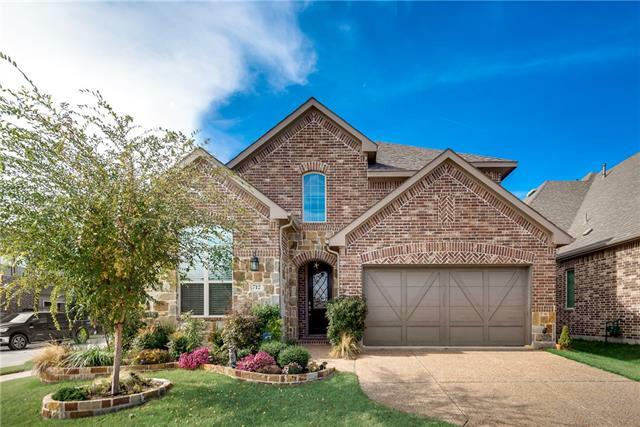 All Castle Hills Ph 8 Sec A homes currently listed for sale in The Colony as of 04/21/2019 are shown below. You can change the search criteria at any time by pressing the 'Change Search' button below. "Castle Hills! Shows like a model! Gorgeous EAST facing green belt! Like new! Best model plan by award winning American Legend Homes! 4 bed plus media room which includes professionally installed theatre screen, speakers and projector! Wide open design with two story soaring ceilings. Hi end finishes: extensive hardwoods, transitional designer lighting, custom window treatments, beautiful floor to ceiling stacked stone fireplace! Monkey Bar garage shelving system. Incredible neighbors." "Beautiful home on a landscaped lot in an established neighborhood, close to shopping, dining, schools, and with easy access to highways. Conveniently located only a few miles from the renowned Legacy Shops! The elegant interior is accentuated by high ceilings, large windows, decorative lights, and ceiling fans throughout the home. Huge living room with corner fireplace is perfect for entertaining. Kitchen has stainless steel appliances, tons of built-ins and ample counter space. Master suite fea"
"****PRICE REDUCED. Beautiful well maintained single family home (corner lot). Built by Highland homes . 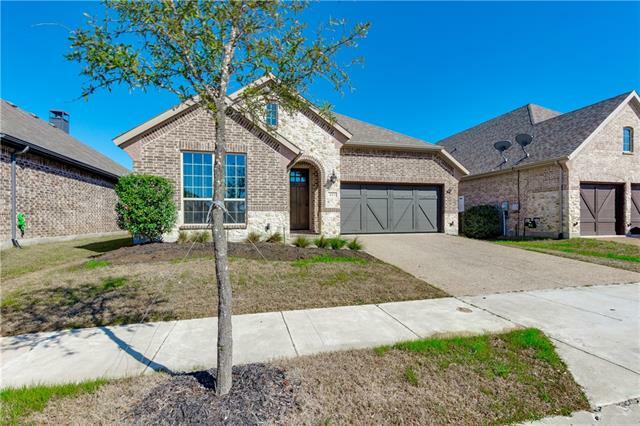 This home is east facing and located at the northeast corner of Castle Hills community. Located 2-3 minutes from TX-121 Highway. It has 3 bedrooms + 2.5 baths + media room + study room + game room. 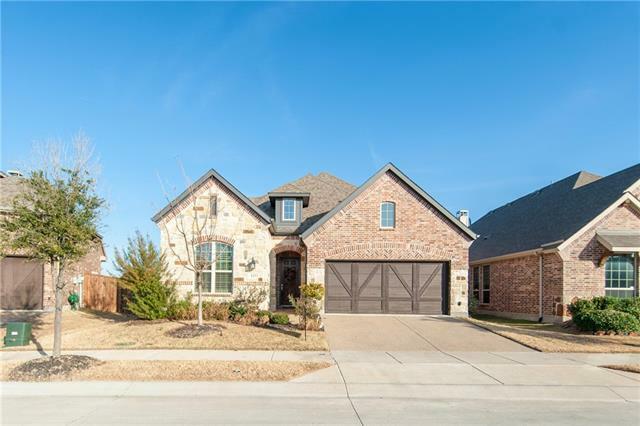 Features include quartz kitchen top counter, single door garage, heavy duty carpets, upgraded floors, kitchen backsplash with accent lights, upgraded shower and bathtub tiles, extended bedroom clos"
"Fabulous Highland Home in the highly sought after Castle Hills subdivision. 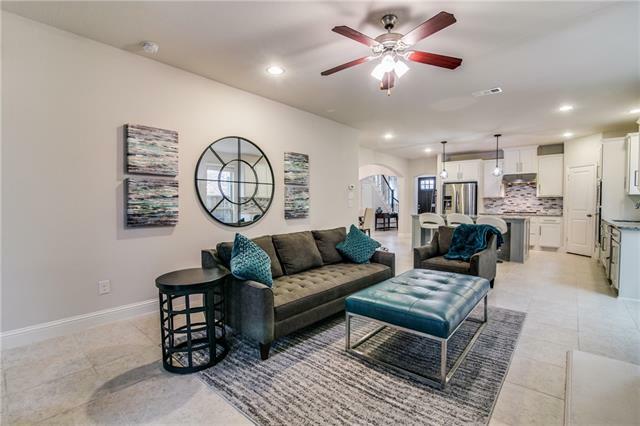 This home has over $60k in upgrades including hard wood floors and high ceilings throughout, SS appliances, large formal dining, upgraded countertops in all bathrooms-kitchen, and an oversized kitchen island opening up to the living room. Study down with a large front bdrm which could be used as a secondary study. Spacious Master suite downstairs with bay windows, oversized garden tub, and WIC. 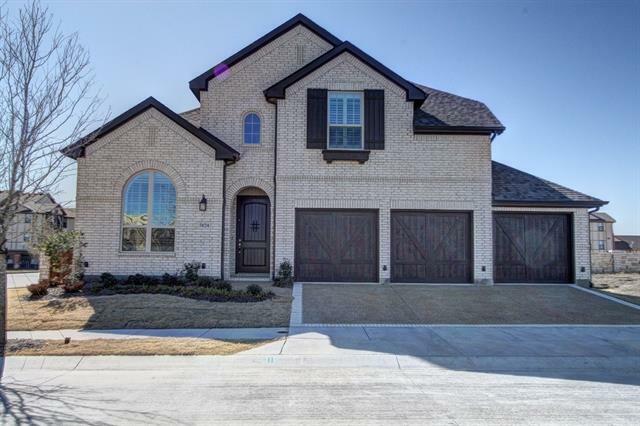 There are 4 bedrooms total"
"Open floorplan in North Castle Hills. Enter the formal dining through arched entrance from main hall. Kitchen is open to breakfast room and living. Kitchen offers stainless steel appliances, granite countertops, farmhouse sink, brushed nickle hardware, under cabinet lighting, backsplash and white cabinets. Living room has lots of natural lighting, wood burning fireplace with gas starter, high ceilings and hand scraped wood floors throughout. Ensuite master with dual sinks, soaking tub with "
"MUST SEE, STUNNING home in Castle Hills. Walk into a well designed, open living family room. Kitchen has white cabinets with gray accent, large granite island, backsplash, silgranit kitchen sink, SS appliances, cultured marble in master and guest bathrooms. Spacious upstairs include a sitting room and two bedrooms. The home contains its functionality with beauty and many features. Great resort style community with parks, pools, golf course, and much more."